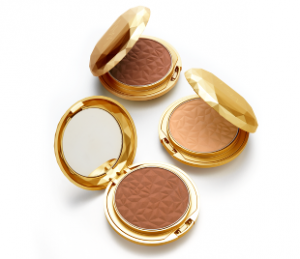 Iman Cosmetics, the leader in cosmetics for women of color adds the new Luxury Translucent Powder to their best-selling foundation category, just in time for the gift-giving season. Along with a luxurious silky texture, this multi-tasking powder blots shine, absorbs oil and finishes makeup with a sheer, semi-matte veil of color that matches skin tone to perfection. Enriched with an exclusive skin-enhancing micro-mineral medley that contains: Copper, Zinc, Manganese, Potassium, Iron & Mica which work together with natural pigments to enhance the skin’s tone and texture. Designed in an exclusive luxury-faceted gold compact with a signature faceted-jewel powder embossment, this beauty must-have has the ultimate purse appeal on both the inside and out. Luxury Translucent Powder is available exclusively online at Drugstore.com. Next articleSatan has Outsourced His Services to the Church! Next: Satan has Outsourced His Services to the Church!